Lenovo, the world’s leading PC manufacturer, unveils fundamental shifts that will drive technology trends in 2018 and beyond. 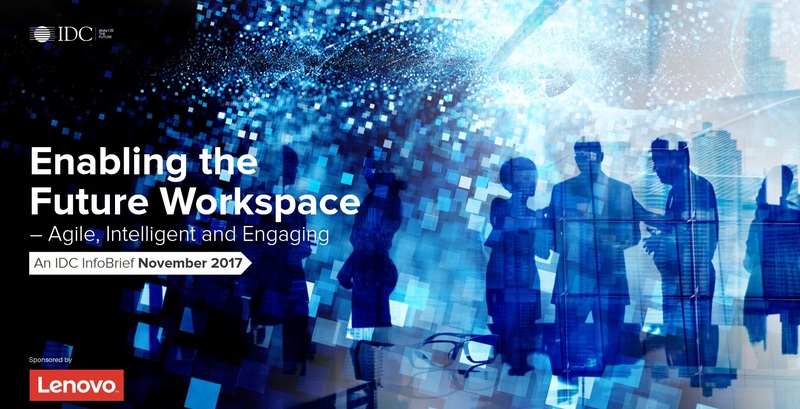 In the IDC InfoBrief, Enabling the Future Workspace – Agile, Intelligent and Engaging, commissioned by Lenovo, it is predicted that the changing workforce demographics and rapid adoption of new technologies will lead to fundamental changes in the workspace and how we work. 1. By 2019, 20 percent of Asia 1000 companies will have a device as a service (DaaS) agreement in place, and one percent will have completely transitioned to DaaS. 2. By 2019, two-thirds of Windows 10 devices (PCs and tablets) will be managed via unified endpoint management (UEM) platforms and one enterprise in every three will have consolidated its desktop and mobile management IT teams into a single operations unit. 3. By 2020, 40 percent of digital transformation initiatives will be supported by cognitive/AI capabilities, providing critical on-time insights for new operating and monetization models. 4. By 2020, Asia 1000 firms will use open innovation to allocate expertise to 15 percent of new projects, aiming to increase their new product introduction success rates by over 50 percent. 5. By 2020, over 20 percent of information workers will leverage AR at the desktop or on mobile to manipulate digital information, interact with real-world objects, and to collaborate with colleagues.